The EU auction failed because bids didn’t reach a secret reserve price. “In the past five years, carbon prices on the ETS have plummeted nearly 90 percent.” The core problem with the ETS is oversupply of credits. The article points out possible solutions: backloading or long-term structural change. I’m not an expert on carbon markets, but my understanding leads me to support the long-term structural change course. The ETS tried to please too many vested interests simultaneously (too complex) and resulted in pleasing too few while not achieving its core objective of emissions reductions resulting from a market signal. On the other hand, The Regional Greenhouse Gas Initiative had its successful 19th auction of CO2 allowances earlier this month. I wouldn’t characterize it as bad news, but the clearing price of $2.80 per ton, above the reserve price of $1.98 per ton, is too low to directly impact CO2 emissions; it is also lower than the price in Europe and California. Utilities in the region are switching to cheaper fuel sources because they’re cheaper, not because they emit fewer CO2 emissions. According to the article, a significant portion (63%) of the $105.9 million in this quarter’s revenue and the $617 million in historical revenue are earmarked for clean energy technologies like energy efficiency, renewables, and climate change adaptation across RGGI’s nine Northeast US member states. I would certainly like to read a more in-depth analysis of this claim. Where specifically have the investments gone and what are the results to date? Just over a month ago, the RGGI states decided to reduce the 2014 CO2 budget (the “cap” in cap-and-trade) from 165 million to 91 million tons and retire unsold 2012 and 2013 allowances. This 45% cut is expected to boost allowance prices to $4 per ton in 2013 and up to $10 per ton in 2020, creating billions of new revenue every year. By comparison, RGGI allowance auction clearing prices have never risen higher than $3.51. That 2020 price is still too low to have much of a direct impact on carbon emissions. The obvious benefit is the additional revenue however. The more revenue we have available to invest in innovation and deploy efficient infrastructure and technologies, the more we will decrease CO2 emissions. The investment portion of the RGGI policy is a positive feature (I have read less about what the EU does with ETS revenue; I don’t claim with certainty that the RGGI system is “better” than the ETS system). Any national-level tax-and-dividend system will be complex. But even$20 per ton today would not, absent subsidies, provide enough incentive for utilities to switch from fossil fuels to zero-carbon sources. Categories: economy, environment, global warming, policy | Tags: carbon market, carbon markets, clean energy investment, clearing price, climate policy, energy policy, ETS, EU Emission Trading Scheme, policy, Regional Greenhouse Gas Initiative, reserve price, RGGI | Permalink. If you have had any exposure to this subject, you probably already have your mind made up about my title. As I’ve gained exposure, via multiple disciplines, I’ve changed my mind. 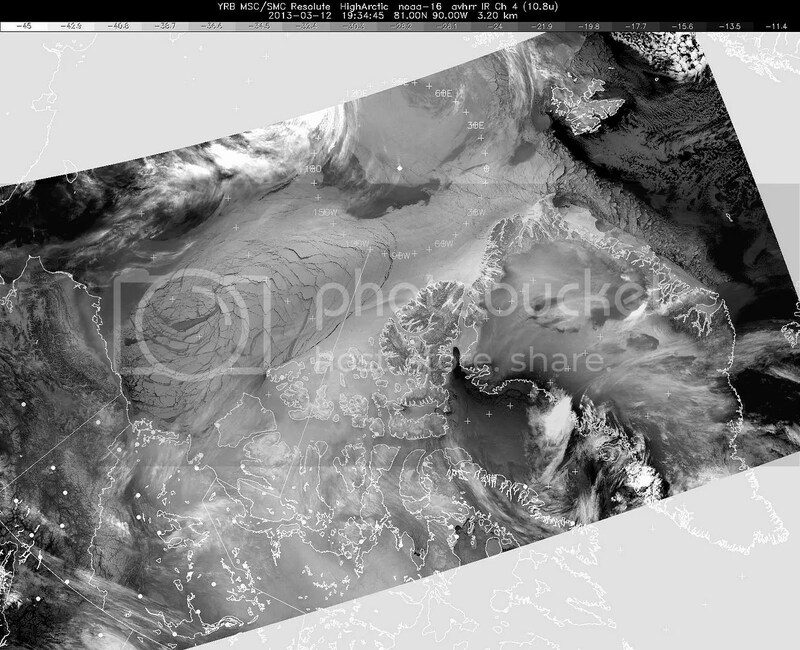 And that allows me to look at climate reporting in new ways. Take this article and interview for instance. 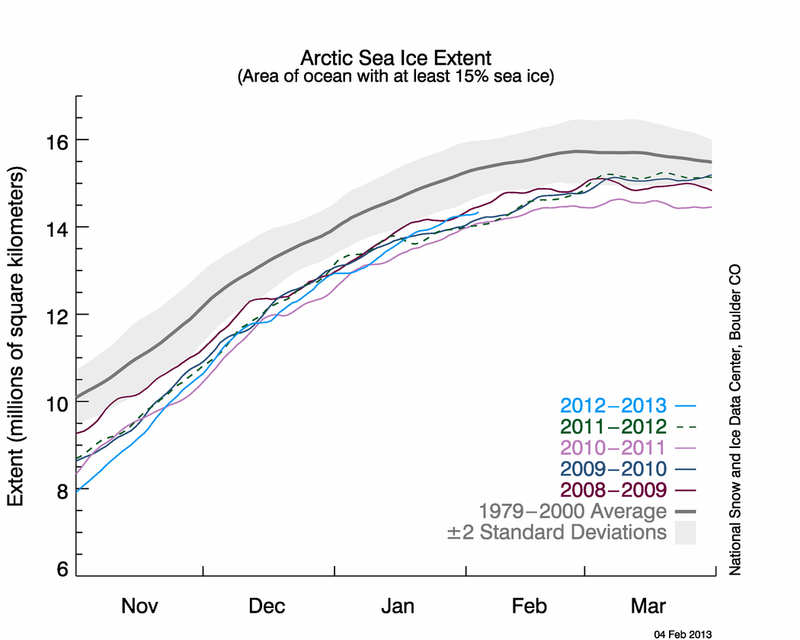 It’s meta-related, masked by the climate’s relationship to extreme weather. There are thousands of examples of conservatives ignoring science when it suits them. Doing so actually has more to do with conservatives operating from their value system. Are there similar examples of others ignoring science when it similarly suits them? I think it would be foolhardy to assume otherwise. Here is what I think about this article. 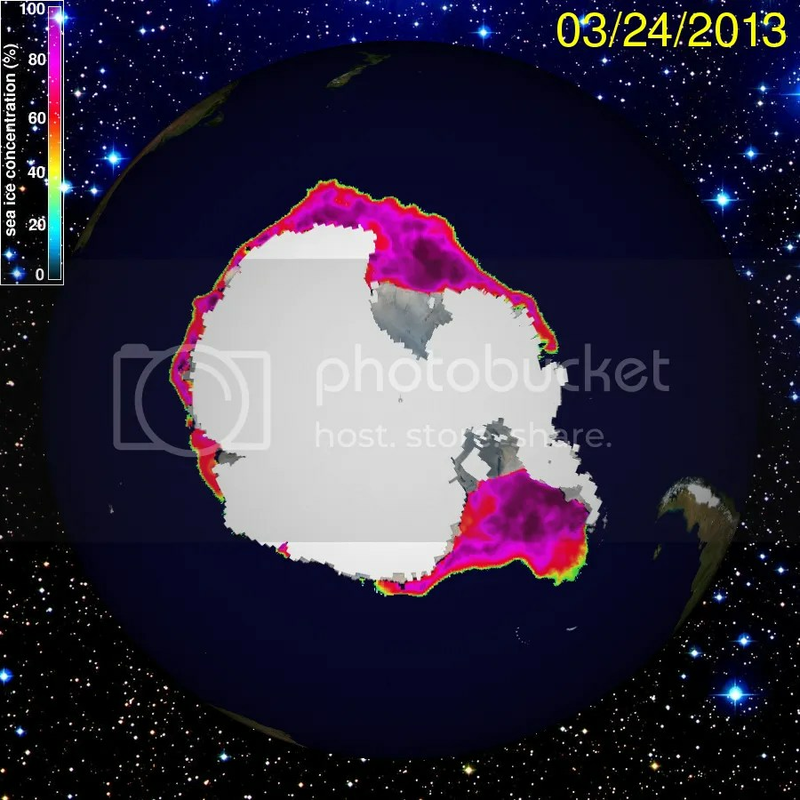 First, the mask: climate-extreme weather. There is no documented causal relationship between the two. In fact, the number of identified causal relationships between climate change and anything is still relatively small. There is a strong temperature signal. There is a growing ocean acidification signal. The sea level change signal is small but present and growing. How about precipitation? Nothing definitive. How about snowstorms? Nothing definitive. When averaged across the entire United States (Figure 2.6), there is no clear tendency for a trend based on the PDSI. Similarly, long-term trends (1925-2003) of hydrologic droughts based on model derived soil moisture and runoff show that droughts have, for the most part, become shorter, less frequent, and cover a smaller portion of the U. S. over the last century (Andreadis and Lettenmaier, 2006). There is not enough evidence at present to suggest high confidence in observed trends in dryness due to lack of direct observations, some geographical inconsistencies in the trends, and some dependencies of inferred trends on the index choice. There is medium confidence that since the 1950s some regions of the world have experienced more intense and longer droughts (e.g., southern Europe, west Africa) but also opposite trends exist in other regions (e.g., central North America, northwestern Australia). One big impediment to our extreme event trend ascertainment is our basic inability to monitor events in the first place. But based on the observations made, there is, in the IPCC’s own language, only medium confidence that droughts in some areas of the world are increasing in severity while decreasing in other places. 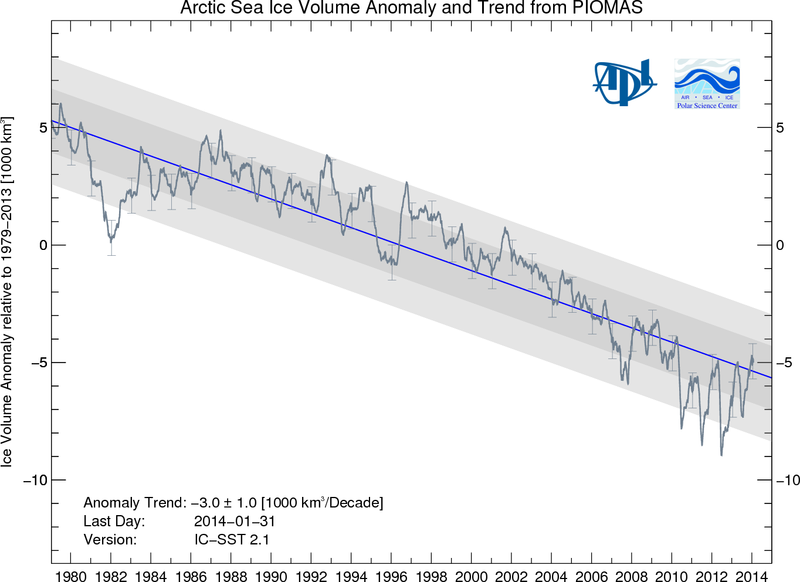 Is climate change increasing extreme events? 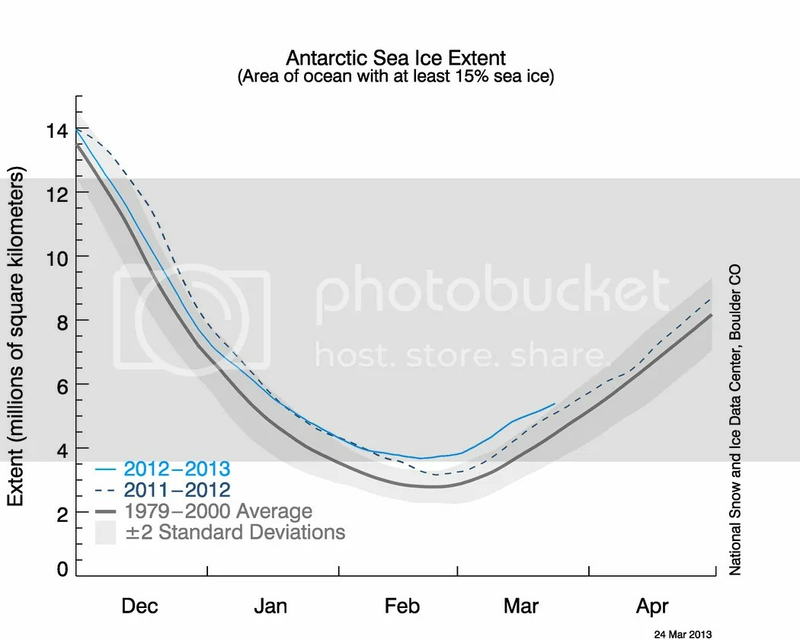 Not droughts – not yet. What about storms like Sandy or Katrina (note: the former was a tropical system that changed to an extratropical system at landfall while the latter was a full-fledged hurricane at landfall)? 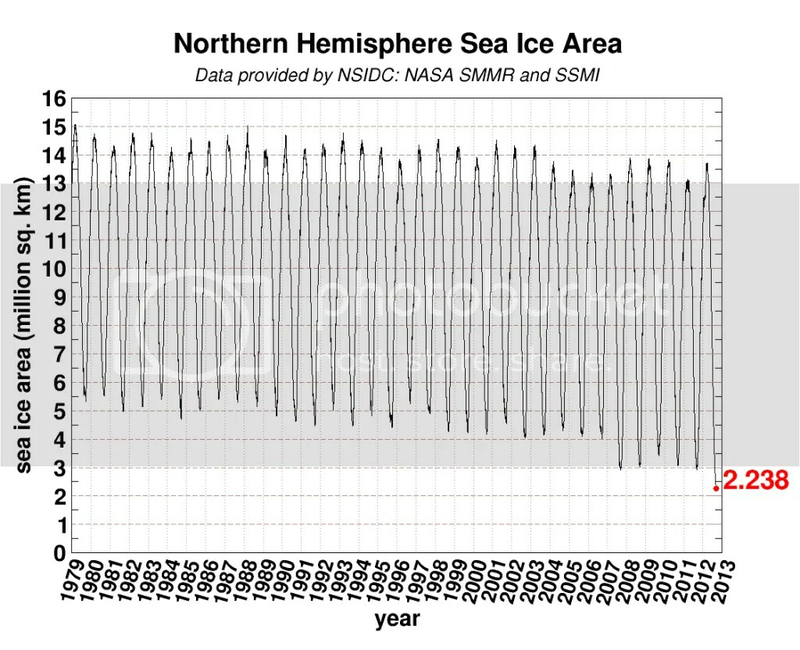 There is at this time no global trend in hurricane frequency or intensity that demonstrates a clear causal relationship to climate change. There are indexes that a few scientists have developed to examine the data in different ways with differing results, but they require fairly complex methodologies to calculate. If I created my own index that demonstrated a relationship between the type of food I ate and climate change, does one cause the other? Certainly not directly. The hurricane-climate change relationship should exhibit a detectable signal in 50 more years or so. 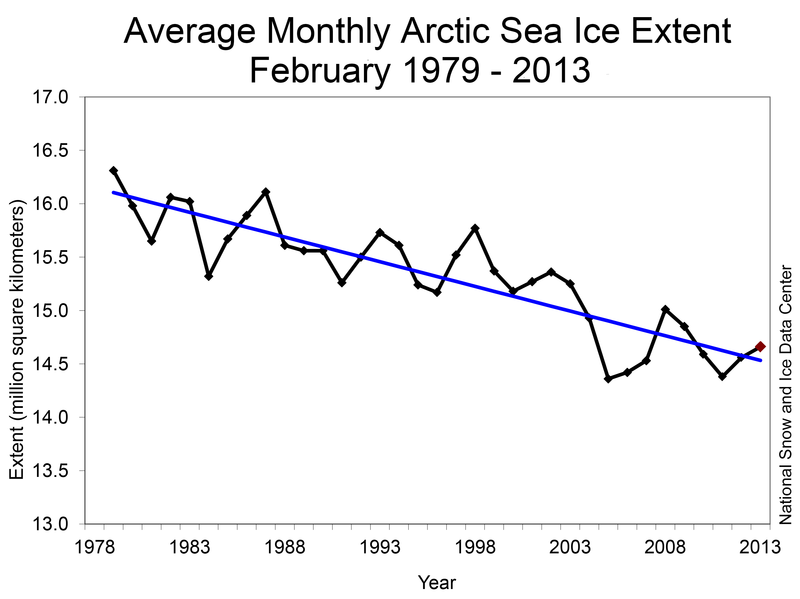 Until then, scientists cannot confidently say the data supports such a relationship. Extratropical storms increased in strength a little over the past century, although the locations of increase are limited. Their frequency has not increased. Quickly, the same thing holds for floods and tornadoes. Datasets are simply too limited in space and time to currently identify a robust relationship. As I wrote above, there are clear signals that we have already detected. The effects of those signals are mostly well-known, although some surprises are certainly in store for the planet. Extreme weather is not one of those signals. At least, not yet. 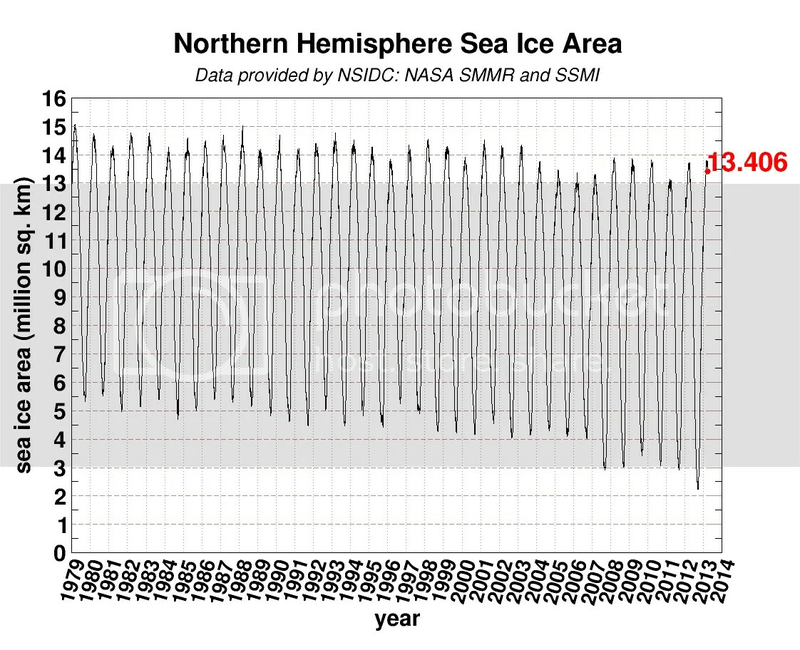 If people are concerned about the level of inaction taken on climate change to date, it is folly to chase down or exaggerate signals that do not yet exist. If arguments based on signals detected are not enough to propel action, then we need to address their sets of values and how we communicate them. Fear-mongering and purposeful ignorance of science are not adequate substitutes. This quote comes from Justin Gillis, who writes about climate change for The New York Times. Does any of the above evidence make it into his interview with NPR? Here is my question: is Mr. Gillis a climate change writer or a politics writer? 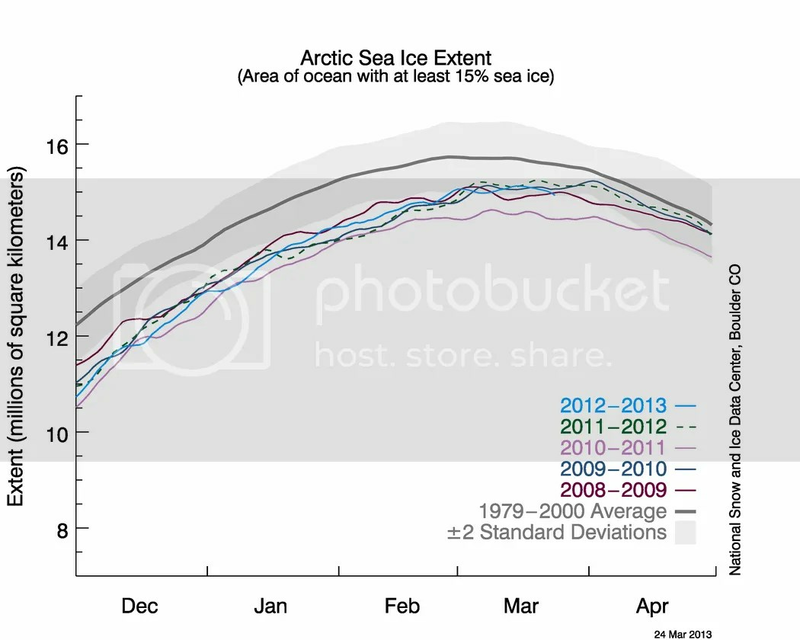 Scientific climate change writers should focus on the science. If Mr. Gillis wants to be a political climate change writer, he and the NYT owe it to their readers to make that distinction clear. Especially when double standards are applied to a different type of science writing. I would argue that creationists have a considerable amount of political traction right now also. I do not agree with their viewpoint, but if Mr. Gillis and the NYT want to write comparison pieces and not news pieces, I do not see why that effort should stop at climate change. Categories: drought, environment, global warming, policy, science | Tags: climate change, climate policy, climate skeptics, drought, extreme weather, floods, hurricanes, Justin Gillis, New York Times, science | Permalink. I last wrote on this topic a couple of months ago, following a Denver Post article that started with a Judge’s decision that ratepayers should not be responsible for cost overruns associated with Xcel’s SmartGridCity program. The judge’s decision was not the final step in the matter. As a matter of course, the final step was the Colorado’s Public Utilities’ Commission decision whether to grant Xcel’s request to collect $16.6 million from Colorado ratepayers. If this is the first time you’ve read about this, here is a short history. In 2008, Xcel proposed SmartGridCity, in which they would install approximately 50,000 smart meters in the city of Boulder by year’s end. It was one of the most ambitious smart grid projects announced at the time. Xcel’s proposal totaled $15 million in costs, which they themselves would completely bear. Seven partner companies were supposed to pay for the remainder of the $100 million project. A little something called the Great Recession got in the way, along with little transparency and project mismanagement on Xcel’s part. Today, 23,000 smart meters are installed – at a cost of $44.5 million, triple the original estimate for less than half the project deployment. The PUC previously approved Xcel’s request for $27.9 million, which is currently collected through customer rates, not from Xcel’s assets. Thankfully, the PUC decided today to reject Xcel’s request with prejudice, which means Xcel cannot appeal the decision. I support this decision mainly because I do not think Xcel should saddle regional ratepayers with costs for benefits they cannot receive. That is a disgusting business practice and terrible precedent to set for future projects. In a similar vein, Xcel’s success in expanding a coal plant in Pueblo, CO seemed to many to be a grab at capital to pad profit. Ratepayers overwhelmingly rejected the plant’s expansion because it would generate more electricity than demanded by the population as well as its long life: Xcel stuck CO with this expanded plant for the next 50 years. I have expressed my frustration with the PUC on occasion. I do not think they exert the appropriate level of oversight over Xcel when the energy utility asks for rate increases, especially given Xcel’s lack of correctly forecasting generation capacity or demand. This decision doesn’t atone for past decisions I didn’t agree with, but I am glad of this result. I reiterate my general support for the smart grid. I think we will eventually witness a significant transformation of the US’s power sector, including its infrastructure. Smart grid technologies could usher in an era of increased efficiency. Energy consumers currently do not have much access to data on their usage. Many (not all) people could change their consumption habits if they had access to that data. Categories: business, energy, policy | Tags: CO Public Utilities Commission, DOE, energy, energy policy, energy portfolio, smart grid, smart grid citites, Smart Grid City, Xcel Energy | Permalink. Energy intensity, or the amount of energy we use to create one dollar of GDP, has plummeted 58 percent between 1949 and 2011. Even more impressive is the 66 percent decrease in carbon intensity, or the amount of carbon emitted per real dollar of GDP. These improvements are what greens miss when they call for Americans to make painful, costly cutbacks on energy usage. Let’s take another look at that data, now that we know the bias of the author. There are 62 years in the data cited. That means there was a 0.94% annual decrease in energy intensity. The good news is there was a decrease. We generated the same GDP dollar for less energy, as we expect in an advanced society with research and innovation. Similarly, there was a 1.06% reduction in carbon intensity. This value is important for energy and climate policy. The amount of carbon required for every GDP dollar fell over the past 62 years. Again, this is a good thing generally speaking. Technological efficiency permeated the economy over that time, which reduced the amount of carbon we emitted. Now an important question: What caused this decrease? Was it emission reductions? No, US emissions have increased since 1950, with only a couple of periods when emission values didn’t increase every year. The US emitted just over 600 million metric tons (MMT) of carbon in 1950 and over 1500MMT in 2011. If carbon intensity is a measure of carbon per unit GDP, then the denominator increased faster than the numerator (GDP rather than carbon), in order for the ratio to decline over time. In 1950, the US real GDP was $2 trillion; in 2011, it was $13 trillion. Indeed, GDP increased faster than carbon emissions over the past 60 years. What magnitude carbon intensity decrease is necessary to achieve carbon concentration reductions? First of all, carbon emissions have to decrease. Granted this has to occur globally, but let’s keep our focus on the US since we can actually control those emissions. Something between 3% and 4% annual decrease would do the trick. That is 3 to 4 times the historical rate! Let’s go back to the ratio: what has to change to achieve this decrease? It’s one of two things: carbon emissions or GDP. If GDP increases at the same rate it has historically, carbon emissions would have to decrease in value. If carbon emissions increased at the same rate they have historically, GDP would have to triple or quadruple in value. The former case is more likely because while we want GDP to grow as much as possible, tripling or quadrupling the rate of GDP growth won’t happen. So our goal should be to decrease carbon emissions. If we can simultaneously increase GDP along the way, so much the better. We obviously should not look at “solutions” that decrease GDP. Walter Russell is unfortunately partially correct when he says that some greens miss part of reality. They place too much focus on decreasing emissions regardless of the consequences. In the real world, people still have to eat and pay for the mortgage. Walter does miss his own share of reality however. These graphs do not indicate a wildly efficient economy. We should not break out into celebration because of the graphs. We should instead examine them soberly and then determine what our goals should be. Do we want to decrease emissions and concentrations and if so to what level? Those goals will help us establish the requisite policies to achieve them. I for one do not think we are decarbonizing nearly fast enough and I think we can decarbonize faster via some common sense policies. Categories: economy, energy, global warming, policy | Tags: carbon emissions, carbon intensity, climate policy, decarbonization, energy intensity, energy policy, policy | Permalink. According to the Drought Monitor, drought conditions improved recently across some of the US. As of Mar. 12, 2013, 51.4% of the contiguous US is experiencing moderate or worse drought (D1-D4). That is the lowest percentage in a number of months. The percentage area experiencing extreme to exceptional drought increased from 17.7% to 16.5% in the last month. Percentage areas experiencing drought across the West stayed mostly the same while snowpack generally increased. Drought across the Southwest decreased slightly and rain from storms improved drought conditions in the Southeast. 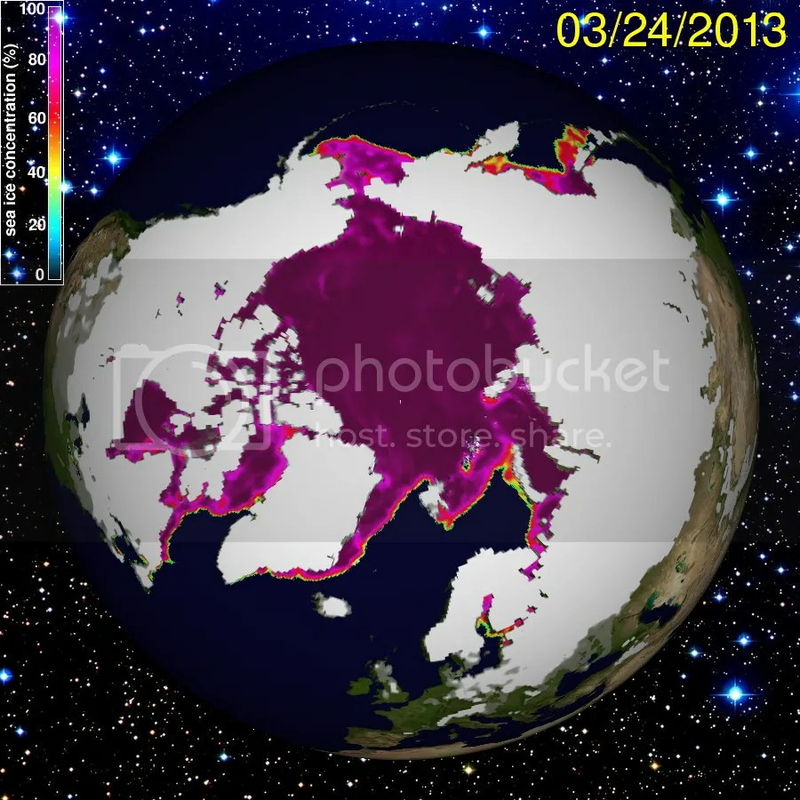 My previous post preceded a major winter storm that affected much of the US. In some places in the High Plains and Midwest, 12″ or more of snow fell. With relatively high liquid water equivalency, this snow represented ~1″ of water precipitation. Unfortunately, these same areas required 2-4″ of rain to break their long-term drought. In other words, while welcome, recent snows have not substantially reduced drought severity affecting the middle of the nation, as the following map shows. Figure 1 – US Drought Monitor map of drought conditions as of the 12th of March. 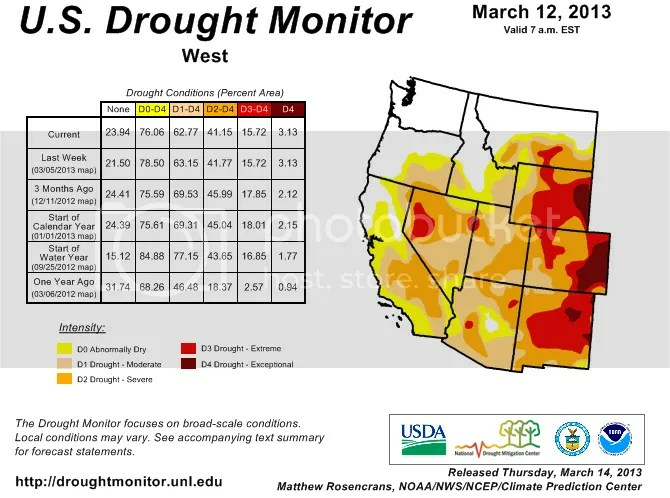 Figure 2 – US Drought Monitor map of drought conditions in Western US as of the 12th of March. Some small relief is evident in the past couple of weeks, including some changes in the mountains as storms recently dumped snow across the region. Mountainous areas and river basins will have to wait until spring for snowmelt to significantly alleviate drought conditions. As you can probably tell, this is a large area experiencing abnormally dry conditions for almost a year now. 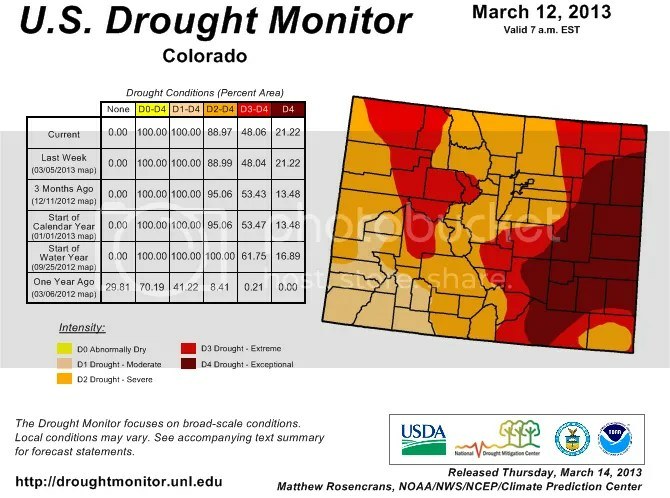 Figure 3 – US Drought Monitor map of drought conditions in Colorado as of the 12th of March. 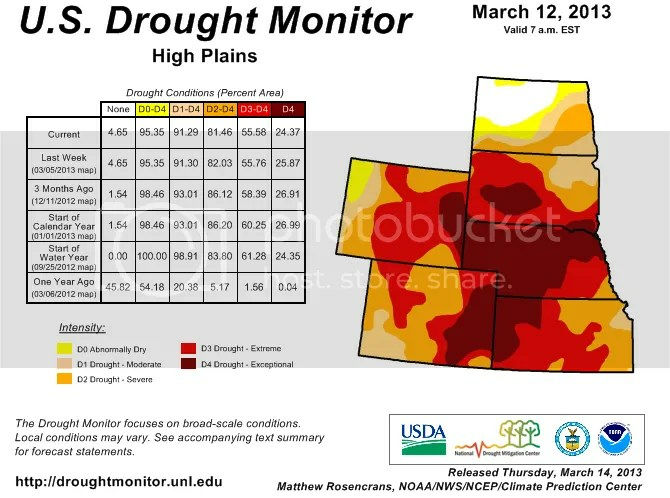 Figure 4 – US Drought Monitor map of drought conditions in the High Plains as of the 12th of March. Again, even with large snowfalls in the past month, little drought relief is evident across this region. What these states need are frequent soaking rains in the spring and summer to alleviate their long-term drought. Agriculture certainly could use that relief this year. 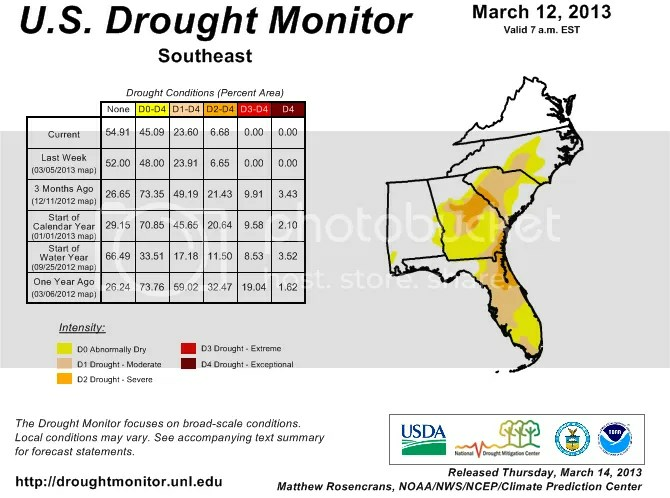 Figure 5 – US Drought Monitor map of drought conditions in the Southeast as of the 12th of March. The shifts in the numbers in the table tell a good story. Frequent storms tracked over this region recently, which helped bust the worst conditions (Severe and worse). Look at the ‘None’ category now versus three months ago: the percent area doubled! Now the rains need to continue through the rest of the year. US drought conditions are related to Pacific and Atlantic sea surface temperature conditions. Different natural oscillation phases preferentially condition environments for drought. Droughts in the West tend to occur during the cool phases of the Interdecadal Pacific Oscillation and the El Nino-Southern Oscillation, for instance. Beyond that, drought controls remain a significant unknown. Population growth in the West in the 21st century means scientists and policymakers need to better understand what conditions are likeliest to generate multidecadal droughts, as have occurred in the past. As drought affects regions differentially, their policy responses vary. A growing number of water utilities recognize the need to be proactive with respect to drought impacts. The last thing they want is their reliability to suffer. Americans are privileged in that clean, fresh water flows when they turn their tap. Crops continue to show up at their local stores despite terrible conditions in many areas of their own nation. Power utilities continue to provide hydroelectric-generated energy. 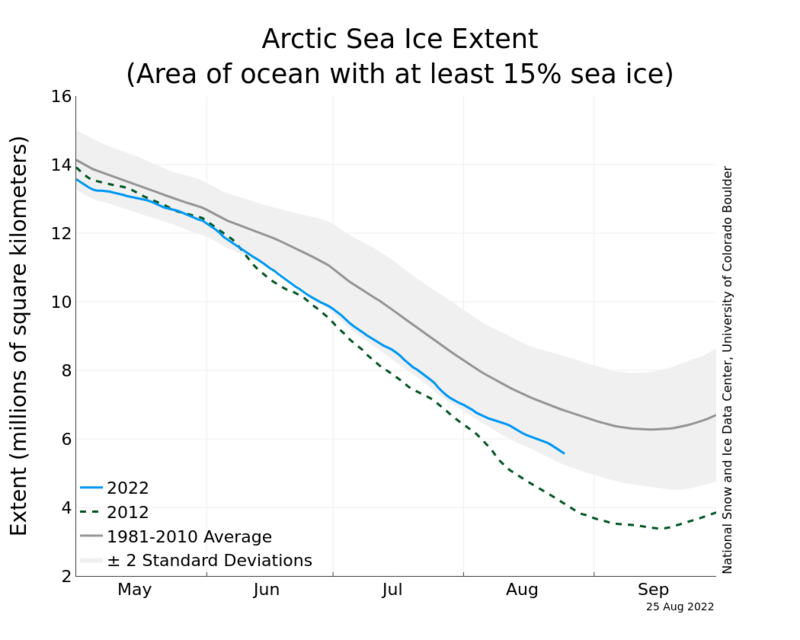 That last point will change in a warming and drying future. Regulations that limit the temperature of water discharged by power plants exist. Warmer conditions include warmer water today than what existed 30 years ago. Warmer water into a plant either mean warmer water out or a longer time spent in the plant, which reduces the amount of energy the plant can produce. We can continue to generate the same amount of power if we are willing to sacrifice ecosystems which depend on a very narrow range of water temperatures. As with other facets of climate change, technological innovation can help increase plant efficiency. Can Researchers Do Simple Math? It should be relatively easy to see the magnitude of the task in front of the researchers’ claim. The social and political landscape is currently not one that supports doing this. Where will this infrastructure be built? What policies will we put in place to ensure this happens? Look at the residential rooftop PV systems number: 1471MW needs to be installed every year: 294118 * 5kW * 1MW/1000kW. And the commercial/industrial rooftop PV systems number: 2941MW needs to be installed every year: 29412 * 100kW / 1MW/1000kW. If we add these two together, NY needs about 4,412MW of solar PV systems installed per year, for a total of 75,000MW by 2030. We can compare these numbers to installation numbers maintained by different sources. I couldn’t find anyone who tracks number of system installs per year. In 2011, New York installed 60MW of solar capacity across residential, commercial, and utility projects, or 1.4% of the researchers’ stated goal. That is a huge discrepancy. MW installation won’t have to double every year to achieve the 75,000MW goal – that’s the good news. The bad news is the installation will have to grow by 150% every year for the next 17 years. What could possibly get in the way of that achievement? We can also look at the number of PV installations: 806 and 81 per day! While the solar industry has certainly grown considerably over the past decade, are there 81 100kW commercial and industrial rooftop PV installations taking place every day in the the state of NY? How about 806 residential systems? Every. Day. If installers are not doing this at that rate today, those systems have to be installed at some point in the future in order to achieve the goals. Will 1,000 installations take place every day by 2030? It might be nice to hope so, but that ignores a whole suite of policy requirements. Any delay in installation in the near term imposes a higher required rate of growth in the future to meet 2030 goals. Zero off-shore wind turbines were installed as of the end of 2012. The numbers listed above translates to 63.85GW of installed wind by 2030. That exceeds the national goal of 54GW announced by Interior Secretary Ken Salazar and Energy Secretary Steven Chu just two years ago. Goals can and should change, but they require people with vision and insight to establish them and set a course to meet them. What happens if future Interior and Energy secretaries some from the fossil fuel industry? What roadblocks will NY face in achieving 64GW of off-shore wind by 2030? On the practical side, where is natural gas in this energy portfolio? Do the researchers make a credible assumption that recent natural gas finds will remain in the ground for the next 17 years while renewable energy infrastructure booms? How will that happen? What about energy efficiency and net energy reduction? The authors make a huge assumption that efficiency gains of 5%/year are achievable. A further assumption is made that New Yorkers will consume less net energy over time. Is that realistic? If not, the above numbers would have to grow in size even further. What technological innovations have to occur? How will NY handle renewable energy variability? Are there abundant renewable resources across America? Yes, there absolutely are. The keys to harnessing those resources as quickly and efficiently as possible are available through smart policies – something that this paper should include since it is going to Energy Policy. At best, this paper presents an interesting thought exercise. I for one want to see a lot more work on the policy trends required to get NY to these goals. Categories: energy, policy | Tags: climate policy, energy policy, policy, renewable energy | Permalink.